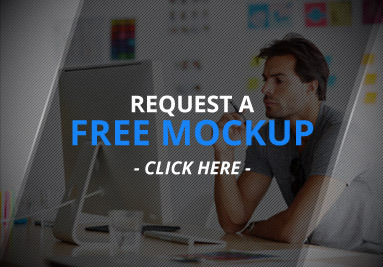 Free Design Services. Unlimited revisions, Artwork Approval & Free Digital Proof. Pick your designs and submit your order. 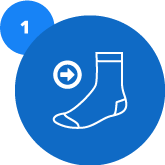 Have your custom socks delivered anywhere in the world in 3-5 weeks. Custom socks made using advanced technology My Custom Socks uses a combination of natural and synthetic fibers to help keep feet dry and comfortable, minimizing friction and creating an environment that promotes healthier feet. Welcome to My Custom Socks. Dress your team with the best custom socks in the world made by Mycustomsocks.com in the USA and in Canada. Customizable team performance socks for running, skiing, cycling, mountain bike, Triathlon and hiking. My Custom Socks can create the best performing promotional custom socks of their kind with your logo. We specialize in skiing custom socks, running custom socks, cycling custom socks, hiking custom socks and team custom socks. 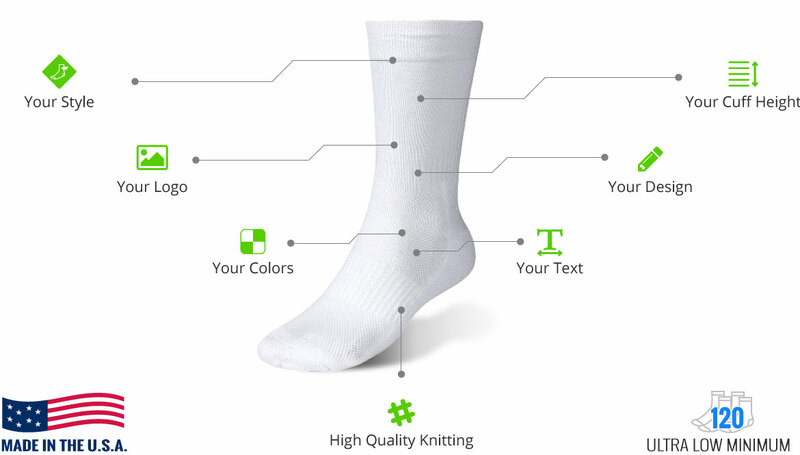 MyCustomSocks use the latest socks technology like ultrathin socks, wool socks, ecosoleman socks, coolmax core spun socks. We also offer knee high socks, multisport socks, lycra socks and bamboo socks. 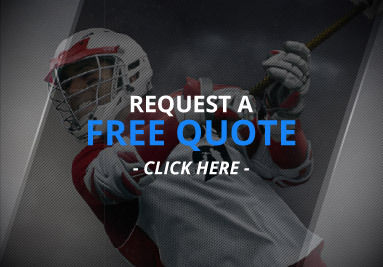 We make the best custom socks for your organization and team. Promotional custom and personalized socks are what MyCustomSocks.com does best. The custom socks program allows you to obtain custom socks for cycling, skiing, biking and running with a unique design which will be created according to your own tastes! 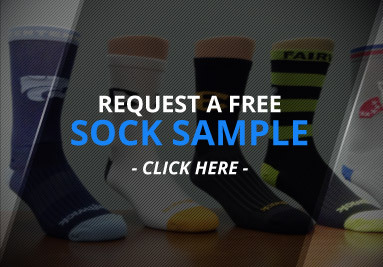 Create the best custom socks for your team, club, or company.